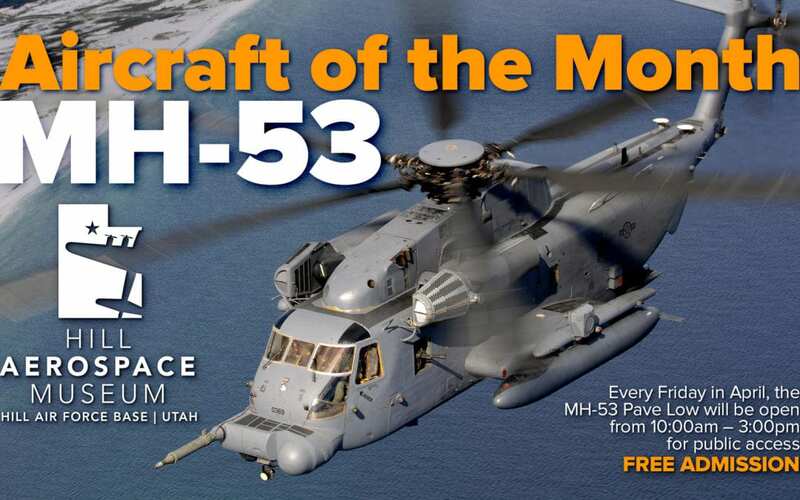 The Hill Aerospace Museum is excited to have the MH-53 open to the public every Friday in April. 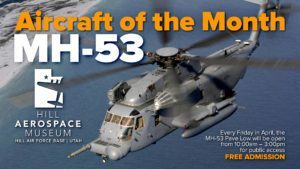 Not only can you get an upclose expereince with the “Pave Low” but visitors will have the unique experience of walking up the cargo ramp and getting inside the airframe. The Pave Low is a unique and versatile helicopter that can do anyting from combat to search and rescue. Read more about this unique airframe at the Hill Aerospace Musuem Here. 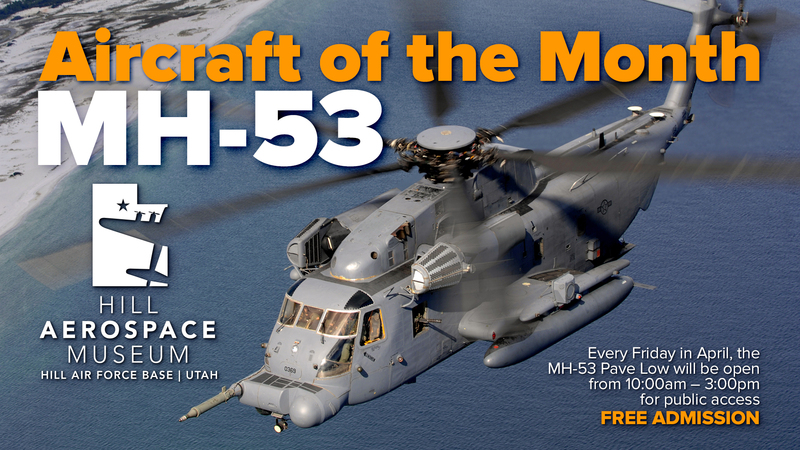 The MH-53 will be open every Friday between 10:00am and 3:00pm.